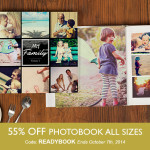 Photobook Worldwide offers a full personalization service where our Photobook Designer software enables you to truly create a unique and individualized photobook. You can easily style it in any way you want, designing it from start till finish to be in harmony with the memories you’re laying down in it. Alternatively, you can always enjoy any of our free-to-use Readybooks! 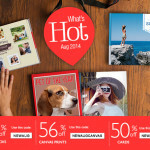 Photobooks, Canvas Prints and Greeting Cards for an Amazing August! 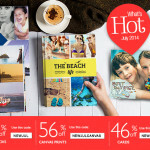 Wednesday, 6th August, 2014 | Comments Off on Photobooks, Canvas Prints and Greeting Cards for an Amazing August! Comments Off on Photobooks, Canvas Prints and Greeting Cards for an Amazing August! Capture the World Cup Spirit! Tuesday, 17th June, 2014 | Comments Off on Capture the World Cup Spirit! 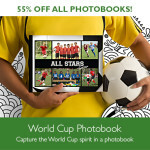 Capture the World Cup spirit with the best reactions of yourself and the millions of fans around the world as your team scores the winning goal – with a photobook, photo card, canvas print – what more now with very special discounts for these great products. Comments Off on Capture the World Cup Spirit!